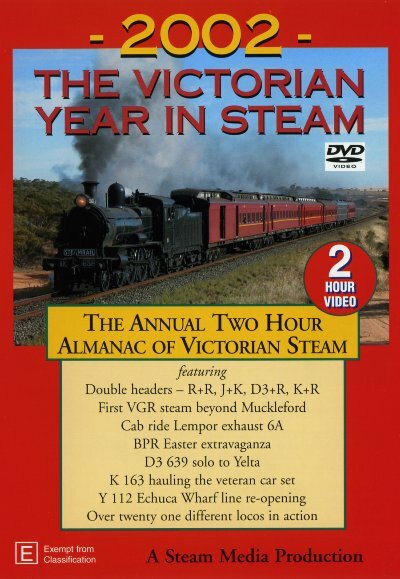 2002: The Victorian Year in Steam: Twenty one different locos in a variety of single and double headed workings provided great Victorian steam action in 2002. New trackage was travelled by two locos and distant destinations were visited before proposed regauging. Special events on Tourist railways saw interesting loco combinations and we ride behind a five inch gauge, 3 cylinder "Heavy Harry", H220.